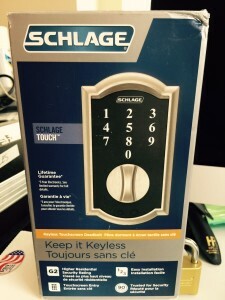 How to Open a Schlage Keyless Touchscreen Deadbolt Lock in Seconds | Mr. Locksmith Video. Go to Mr. Locksmith Training for Hands-On and On-Line Locksmith, Militray and Police Methods of Entry Training. Schlage makes great Comercial Grade locks but some of their Residential Locks sold in Hardware stores are just too easy to open. The method shown here is considered to be “Overt” or “Forced Entry” because you can see the small hole drilled in the deadbolt lock case. However, the hole can easily be sealed or covered up. Unfortunitly, most Residential Grade Electronic or Keyless Entry locks available at your local Hardware store are very vulneaable to covert, overt or forced entry. Coming Soon: More Residential Electronic Locks tested and failed! 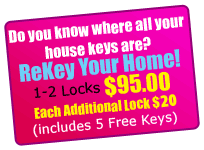 Call a Mr. Locksmith near you and they will recommend locks to secure your house or business. For Hands-On Locksmith Training dates in a City near you go to Mr. Locksmith.